By Sydney Borek and Sanjai Tripathi. For many academic researchers, “publish or perish” is the imperative. They need to publish quality journal articles each year to establish and advance their careers. Doing the research and writing these articles is hard enough, but researchers face one additional hurdle before they can submit: formatting to the exacting standards of journal publishers. A typical researcher has to publish three to six articles per year, and might spend tens of hours formatting each one. The time cost is huge, but two OSU PhD students are developing a solution: a software called WiseDoc. Bo Wu and Akash Kannegulla are the co-creators of WiseDoc. The solution is a cloud-based service that helps academics quickly and easily format their content to the required specifications of journal publishers. 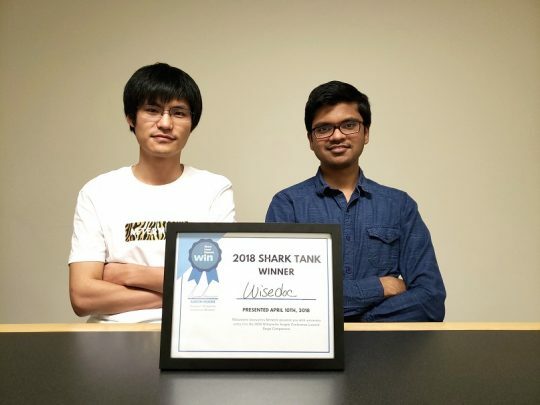 The idea for WiseDoc came to Wu and Kannegulla after they themselves struggled with formatting their research as Electrical Engineering PhD students at Oregon State University. WiseDoc users can select the template for their target journal and insert their research content. Then WiseDoc will format the content to the selected template. WiseDoc also will be able to reformat any previous content in case the publication was rejected for another submission. The team has developed a functional prototype of WiseDoc and are currently integrating the program into a website, where users will be able to test it and give feedback. Recently, they entered and won the 2018 “Shark Tank” pitch competition hosted by the Willamette Innovators Network. As a prize, they are invited to present at the 2018 Willamette Angel Conference in May. Wu and Kannegulla are now looking forward to sharing their product with other people. They hope that, with WiseDoc, researchers can take the time they previously would spend formatting and instead spend it working toward impactful research goals. This entry was posted in Uncategorized by tripaths. Bookmark the permalink.